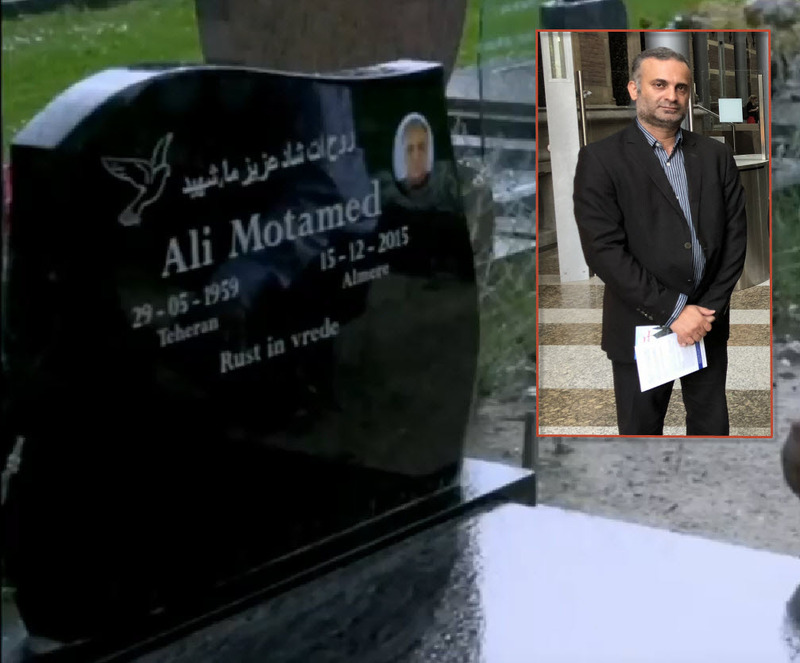 Media section of Association for Defending Victims of terrorism reports, one of the sons of the Hafte Tir Victims went to the city of Almere’s cemetery, in Netherland, which the grave of Ali Motamed is in it. He said, in an interview with a newspaper in the city, that this grave is an example of example of terrorism’s use of asylum. 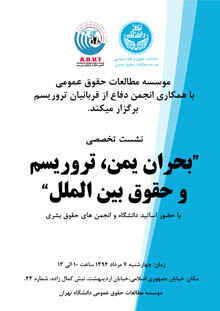 The culprit of Hafte Tir catastrophe in 1981 in Tehran, fled into Iraq and after years, by the help of Former Dictator of Iraq, Saddam, went to Germany and after years of residence in there, went to the Netherland as an asylum seeker and married and resided there with the false identity. Son of Martyr Seyyed Reza Paknejad, who his uncle, Seyyed Mohammad Paknejad, martyred in the Hafte Tir catastrophe, said that, this terrorist, after 34 years of secret life in Iraq, Germany and Netherland, has been killed in suspicious situation in the December 2015 and has been buried in that false identity in the city of Almere’s cemetery. This survivor of Hafte Tir catastrophe by pointing to the name of Ali Motamed on the gravestone, said that this process of decades of secret life and false name on the grave in the best proof that the organization of terrorism is active and the deceit is underway and is a try to for concelaing the truth of planners of the Hafte Tir catastrophe. 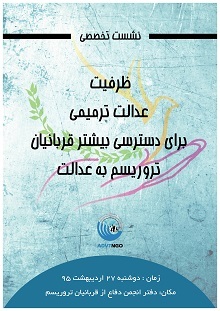 This child victim of terror continued that, families of martyrs of Hafte Tir catastrophe wants from the children and wife of Kolahi that for the sake of combating the terrorism and supporting the victims of that havoc in Tehran, to act against this deceit and as a first step to illuminating the truth, write the right name on the gravestone. He continued that, we believe that the members of terrorist cults are the first victims of terrorism and Mohammad Reza Kolahi Samadi is one of them. If he was alive and said the truth, then we would have the best facts for disclosing the truth about the planners and supporters of Hafte Tir catastrophe. Our experiences show us that terrorist organizations try to conceal the truth behind their terrorist acts by avoiding the arrest of the culprits alive by the means of cyanide or suicide. 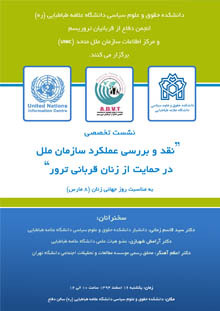 The victim of terror continued that, families of martyrs of Hafte Tir catastrophe demand from juridical authorities in Netherland and the judge of this dossier or investigations about Ali Motamed (Mohammad Reza Kolahi), to take a useful step toward protecting the human rights and amending the grieves of the families of the victims of that catastrophe and make the justice available for them after 37 years. Paknejad said, now, my defense of the martyrs of Hafte Tir catastrophe is not a defense of a boy of his father or his uncle, but a defense of scientific figures who had scientific profits for the society and could had been useful for the progress and prosperity of my country. One of them had published 40 books and the other was a graduate of Phd of economics from Germany. For these reasons, the Hafte Tir Catastrophe not only was a crime against humanity but a big hindrance of the progress of Iran. This child victim of terrorism continued that, by looking at the situation in the Mideast region and the terrorism from that catastrophe up to now, we know that the terrorism is the means of demolishing the infrastructures of the countries and the strategy of conquerors and this is obvious in Iraq, Afghanistan, Syria, Yemen and other countries in the region. In the end of the interview, this boy that has lost his father and uncle wanted from the human rights activists and global and UN figures to cooperate with states and regional institutes and pursue the practical steps to weakening this dangerous phenomenon. 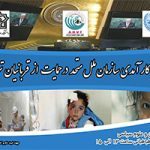 Interview with Dr. Bagher Ansari : in terrorist events, in addition to those killed, society is victim in whole.